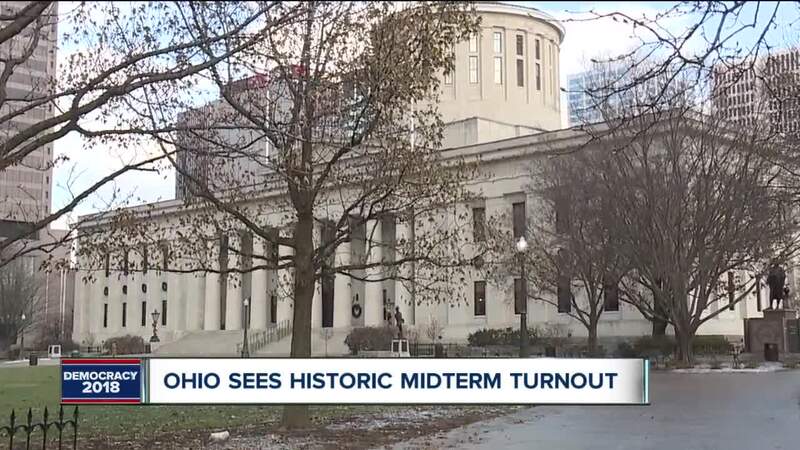 As the dust settles on the 2018 midterm elections in Ohio one of the takeaways was the enthusiasm displayed by both sides in getting to the polls, producing record turnout statewide for a midterm election (4.38 million voters) and the largest turnout percentage (54.3 percent) since the Republican wave of 1994. 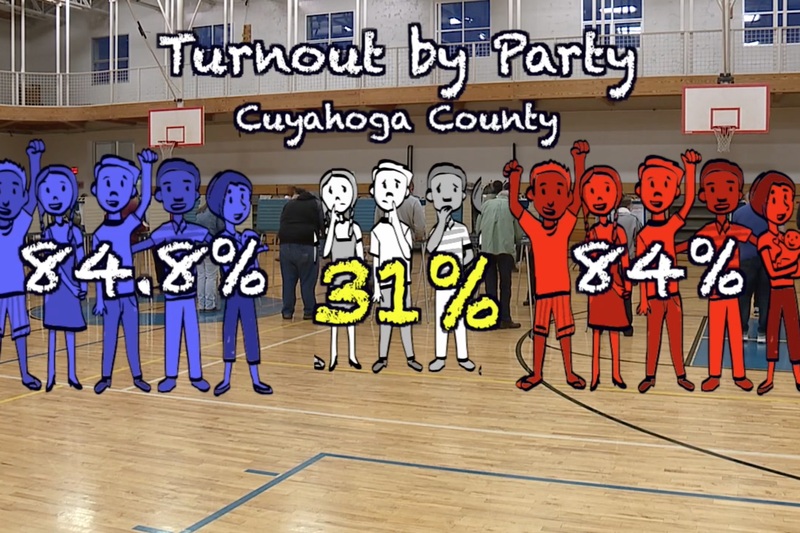 In Cuyahoga County, where the Board of Elections breaks down the party of those voters in their turnout figures, they found that Democrats and Republicans both turned out at the rate of 84 percent while the county's largest voting block Non-Partisans were only 31 percent. "I think that number was low because Independents are not necessarily motivated by the same kind of partisan issues that Republicans and Democrats are motivated by," said News 5 Political Analyst Dr. Tom Sutton of Baldwin Wallace University. "So from a conventional perspective the economy is doing very well relatively speaking in Ohio, Independents who are voting are looking at that issue." The more comfortable they are with things Sutton said the less likely they are to vote. "Really at the end of the day we had more reliable Republicans and Independents trending Republican voting statewide and that's the results that we saw, with the exception of the Sherrod Brown race and the two Supreme Court races, everything went Republican," he said. The GOP swept the governor's seat and open row offices, while Democratic Senator Sherrod Brown became the first in Ohio to win a third term since the late Sen. John Glenn. "We've been talking about Ohio as a state that has been a swing state, a bellwether state, based on this election and even based on 2016 going into 2020 I think we're looking more at a state that is more likely a red state or at least a pink state when it comes to likely voter turnout and what's that going to translate into in terms of candidates that win," Sutton said. While Brown's victory over Rep. Jim Renacci was smaller than the polling had predicted it still places his name in the presidential or vice presidential conversation. "There's a lot of talk that at a minimum he might be a vice presidential candidate depending what happens with the presidential race, there are others that are talking about maybe try to encourage him to jump into the presidential race having won in a state that is really becoming reliably red," Sutton said. Prior to the election, Brown told News 5 that's not on his radar. "I don't have this great desire unlike a number of my colleagues to be president of the United States. I don't know what happens in the next two years but I love where I am," he said.